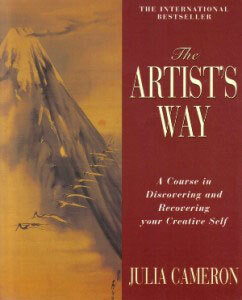 The Artist’s Way Creativity and Personal Growth Course/113th Course! DISCOVER NEW OR LATENT TALENTS! BECOME UNBLOCKED! BE HAPPY PURSUING YOUR PASSION! GAIN ABUNDANCE WITH HUGE REWARDS! BREAK THROUGH LIMITING BELIEFS! GET OUT OF A RUT AND MOVE FORWARD! IS IT TIME TO CHANGE YOUR LIFE? This is a course that I created 26 years ago. It is professionally facilitated and the book is only used as a base. You will get much more out of this course than doing the book by itself. My Artist’s Way Course continues to be very popular and is being put on for the 110th time. Music, drama, spiritual growth, future projection, daily journaling/morning pages and learning to honour yourself, are some of the things that you will benefit from and experience throughout my course. It is crucial that people get in touch and thrive as their artist and authentic self in order for them to be happy. This is a must for anyone who wants to become the person they are meant to be regardless of age. Besides going through the book, writing 3 morning pages every day, and taking yourself on an Artist date once a week, you will be doing my exercises and assignments that will move you in the direction that you are meant to go. My creatively based exercises and assignments are educational and empowering. Aside from this group collectively going through the Artist’s Way book by Julia Cameron, I have added other fun in class exercises including drama, dance and future projection, goal setting, marketing, networking and much more!. This course makes you accountable to the other members of the group and propels you forward in a very safe atmosphere while having lots of fun and making new friends!! My Artist’s Way course will move you forward with such a velocity that you may not realize the major shift that has taken place for you until the course is over. Many of my students have taken this course several times and have had a different experience each time they took the course. The proof of the effectiveness of my course is in the many testimonials from students who have taken the course right back to when I started in 1993 which you are welcome to read! There is so much that is offered in this course and the cost remains relatively cheap compared to other course of this caliber. Artists Way Course includes: Music, drama, dance, art, future projection, meditation, breathing techniques, personal empowerment and abundance training, goal setting, and much more! You can meet the teacher, by making an appointment, ask any questions and look at testimonials of previous students to get a better sense of the course if you desire. BREAK THROUGH ARTISTIC BLOCKS! GAIN ABUNDANCE WITH HUGE BENEFITS! WIPE OUT LIMITING BELIEFS! GET OUT OF A RUT! Maryse Schembri is conducting her 113th class. The Spring is a time for many creative people to get in touch with their creativity and authentic selves. I am excited about doing another class. There is a great demand for a course that gives you excellent facilitation, creative exercises that move you to the next level, and group support. Aside from this group collectively going through the Artist way book by Julia Cameron, I have added other fun exercises including drama, dance and future projection. This course makes you accountable to the other members of the group and propels you forward in a very safe atmosphere while having lots of fun and making new friends!! Please note that unlike some other courses that are offered, this is a course that I created 26 years ago. It is professionally facilitated and the book is only used as a base. You will get much more out of this course than doing the book by itself. Please look at gallery for more photos.